Introducing the New “Focus-Byte” Small System Workstation! New Mexico POS is super excited to tell you about our newest product offering for customers that want all the bells and whistles of Focus POS at a lower price point for greater value! Introducing Focus-Byte. Focus-Byte is designed specifically for the majority of all independent restaurant operators that use four terminals or less. Bar, nightclub, coffee, smoothie, quick service, family dining and fine dining restaurants can all benefit from the best POS system in the industry. The incredible Focus-Byte bundle is valued at half what you would pay for our competitors POS and Focus-Byte has no never-ending monthly usage fees. You own your Focus-Byte system. 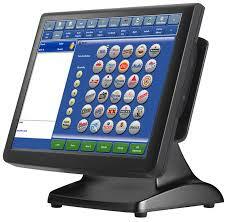 Focus-Byte is the best Value in the point-of-sale industry. Focus-Byte has a full sized 15″ color touch monitor married to a powerful Intel Atom Quadcore processor with 2gb ram and 32gb eMMC Storage memory. This baby cooks! The Focus-Byte combo also includes the Focus POS Standard software suite and heavy duty thermal receipt/report printer. Options include: cash drawers, kitchen printers, kitchen video systems, mag card readers, integrated credit card processing, integrated gift card processing, table-side iPad tablet order entry, lifetime Focus POS software upgrades and an incredible list of add-on products to customize your point-of-sale system specifically for your business needs. Call 505-293-7551 or email dk@www.new.nm-pos.com for a presentation.